In its effort to attract top talent for the sustained growth of the banking industry, Al Ahli Bank of Kuwait (ABK) supported the professional development of students by participating in the 14th Annual Career Fair hosted by the American University of Kuwait. Notable for its active corporate citizenship, ABK contributes significant time and attention towards education and professional development of Kuwaiti youth. Based on the American model of higher education, the American University of Kuwait has a rapidly increasing student population from around the world. The current student body population is 2,461, of which 64% is Kuwaiti. 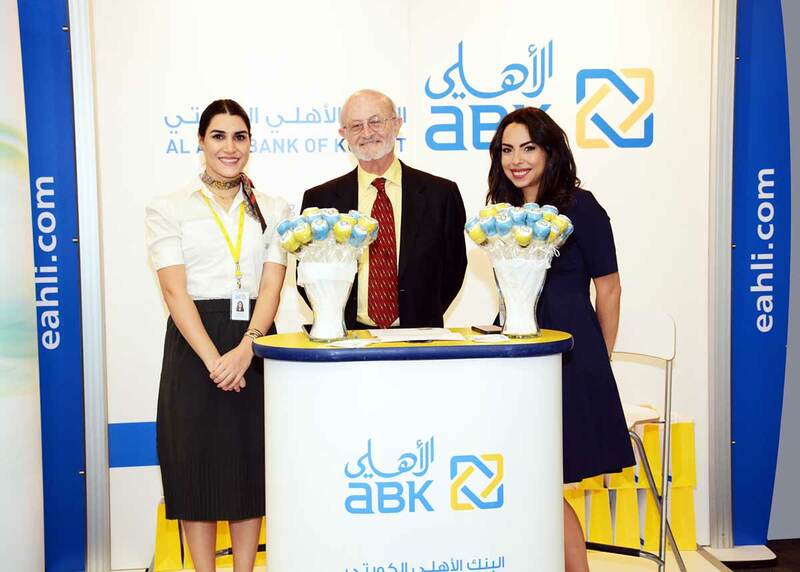 At the career fair which took place yesterday, ABK presented opportunities available within the organization. The students were provided with information about ABK and its approach towards business. ABK’s participation reinforces its commitment to playing an active role in supporting Kuwait’s youth during the early stages of their work life.